Film d’animation Indien en 3D réalisé par Vikram Veturi ! 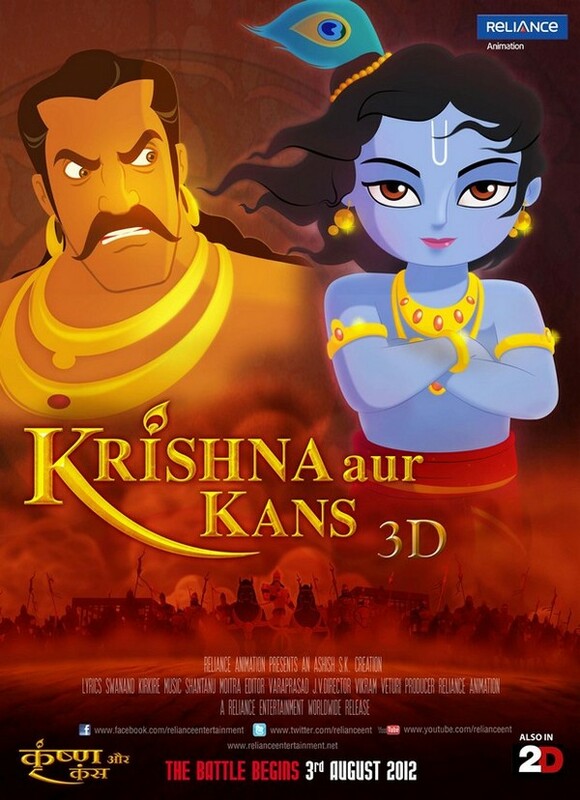 "Krishna aur Kans" est le premier film d’animation Indien en 3D stéréoscopic réalisé par Vikram Veturi sur un scénario écrit par Kamlesh Pandey et produit par Ashish SK & Reliance Animation. Des logiciels Adobe dont notamment Adobe Flash Professional et After Effects ont notamment eté utilisés pour créé l'animation qui fut produite par de 1200 professionnels pendant cinq ans et demi. Histoire (vo) : It is the story of Krishna, the destiny's child, born as the nemesis of brutal king Kans who had tormented the kingdom with his ruthless dominance. Growing up as a naughty prankster, Krishna from a very early age displays his valiant powers over the deadly demons send by Kans, whose frustrations grow as every death defying duel hails Krishna emerging as a real hero among his folks. Years of futile efforts to eliminate his nemesis at last compels Kans to invite Krishna for a decisive duel in the coliseum as the massive crowd breathlessly witnesses the final faceoff between good and evil. Distribué en Inde en 3D stéréoscopic par Reliance Animation, le 03 août dernier.